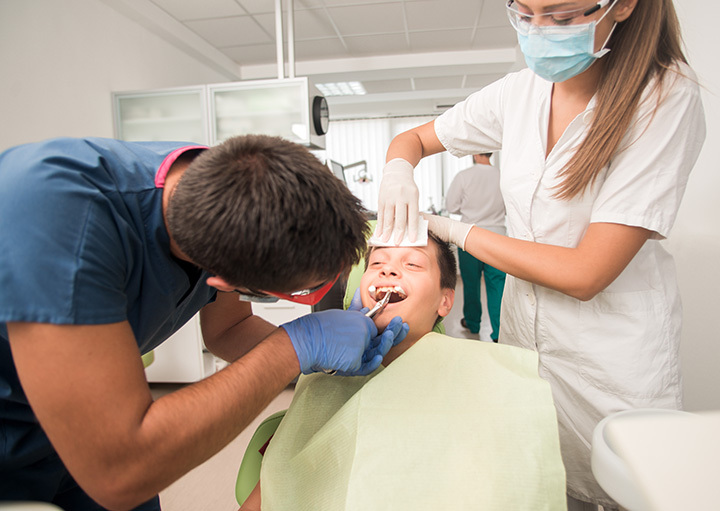 The 10 Best Kid-Friendly Dentists in Utah! Let’s face it: going to the dentist is not always fun. But it’s also no secret that dental work is a crucial part of everyone’s health, including children’s health. That said, it may be children who like the dentist the least. It’s important to find a dentist that your children like, so that the experience isn’t nearly as painful as it could be. The following 10 Utah dentists are some of the state’s best for kids! Congrats to Scooby-Justin! He was our instagram winner for September! Don't forget to post a picture at your appointment with #themoosedentist for a chance to win! With locations in American Fork, Saratoga Springs, Spanish Fork, and Provo, Smart Pediatric Dentistry is—perhaps unsurprisingly—one of the state’s most popular pediatric dental practices. All doctors that work at Smart Pediatric Dentistry are certified specialists by the American Academy of Pediatric Dentistry, meaning that after dental school, they attended two additional years of school focused specifically on pediatric dentistry. Any spaceship themed dental practice has got to be good, right? Even if your kids are terrified at the thought of fillings and strange instruments poking around in their mouths, odds are they’ll probably enjoy their experience at Legacy Pediatric Dental. Headed by pediatric dentist Dr. Scott Folkman (who grew up in Layton), the practice and its staff are incredibly kid-friendly. West Valley Pediatric Dentistry aims to make dentistry as fun as possible for your children. With two head dentists (Dr. Samuel Daily and Dr. JD Reimschissel) the practice has an under-the-sea theme and services not only Taylorsville residents, but families from nearby areas. Salt Lake Pediatric Dentistry gets an A+ in relieving children from their dentist-related fears. The practice’s dentists and staff do a great job helping the kids to feel comfortable and entertained. With doctors David Gustafson and Jeffery Rupp, the practice has developed an awesome reputation. Dr. Trace M. Lund and Dr. Kevin R. Markham love what they do, and it shows. At Provo Pediatric Dental, you can feel confident that you’re choosing caring and friendly staff and doctors, as well as a place where your children will feel comfortable and cared for. The practice also offers a variety of services that you may not find at your typical pediatric dental practice. She was a little dazed and confused when it was all over but she did awesome! She hardly made a peep through the whole thing! Thank goodness for kind pediatric dentists and hygienists who took great care of her! They even made my princess a purple balloon crown when she was all done! Another stellar pediatric dental practice, Reading Pediatric Dentistry is located in West Jordan. Dr. Tyler Reading is also a specialized pediatric dentist, meaning after finishing dental school at Case Western Reserve University in Cleveland, Ohio, he completed two additional years of specialty training in pediatric dentistry at the University of Rochester Medical Center in New York. In addition, Dr. Reading is a Board Certified Pediatric Dentist with the American Board of Pediatric Dentistry. Now located in a brand new office in northern Logan, Cache Valley Pediatric Dentistry has been voted “Best Pediatric Dentist” in Cache Valley by Cache Valley Family Magazine every year since 2014. There’s no doubt you’ll feel comfortable with your child’s smile in the hands of Dr. Gehring and his staff. Orem Pediatric Dentistry is a well-known practice in Utah County that is dedicated to providing the best service for you and your child. Aiming to create a positive, fun atmosphere where children don’t feel scared or nervous, the practice’s doctor, Dr. R. Bruce Howell, also wants you to see the results of your visit. Ninety-five percent of Orem Pediatric Dentistry’s patients return for their next visit with zero cavities. One of the best things about Burg Children’s Dentistry and Orthodontics is that the trusted practice has locations across Utah. With locations in Lehi, Salt Lake City, Stansbury Park, Park City, West Jordan, Cottonwood Heights, North Salt Lake City, Murray, Sandy, and West Jordan, the practice is easy to access and one of the state’s most popular. Of course, each location is home to different doctors, all of whom are specially trained for working with children.